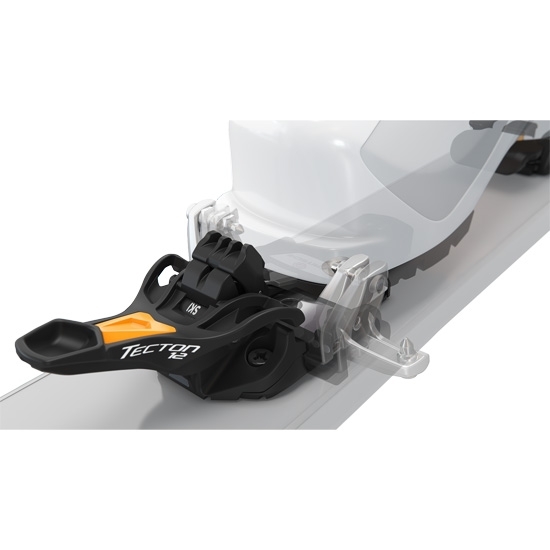 The Tecton improves the toe piece of the binding in comparison with the Vipec, making a more compact and safer front piece by making it easier to insert the boot into the front clips with a stopper. The boots are better guided into position and the clips open wider than before. 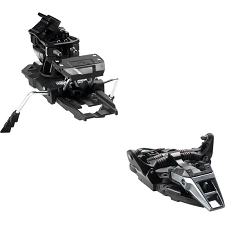 This also increases safety in the event of the boot coming out of the binding as the stopper makes the front clips open sooner under the pressure of the tip of the boot. 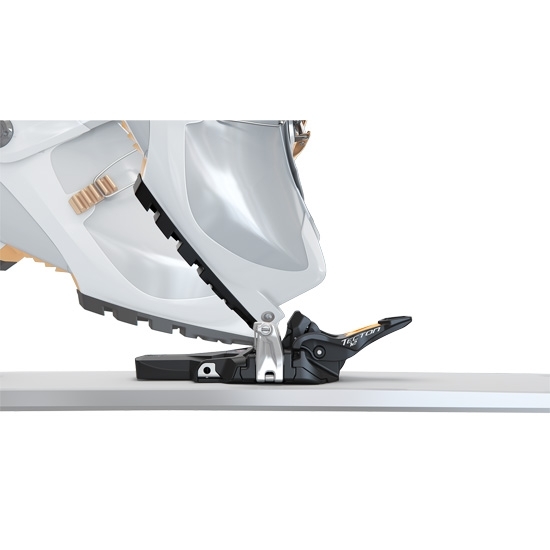 The heel piece has also been modified with respect to the Vipec replacing the pins that hold the boots in Dynafit bindings with a alpine binding style heel jaw, acting as a base for the back of the boot. 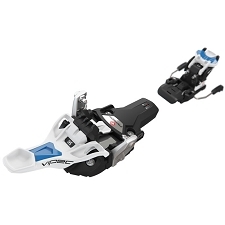 It combines parts of the Vipec Evo like its revised toe piece with the Low Tech system, with the heel spring usually found in alpine bindings which holds the heel base of the boot. Lateral release of the toe. When the binding receives a hard side knock (and depending on the DIN setting we have) the sides of the binding open acting like an alpine binding. The sides have 13mm of play before they finally release.. Adjustment of the toe release. 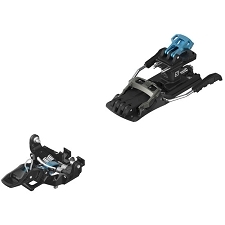 It is adjusted exactley the same way as an alpine binding both in the toe and the heel, with the same values DIN 5−12. 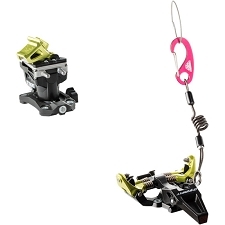 It’s not necessary to block the toe piece in ascent., It has a position that stiffens the toe piece so it doesn’t release while walking or if we trip while climbing a slope, but will release with a big fall or if we are caught up in an avalanche while we are climbing. 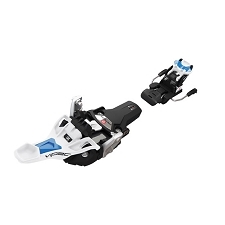 The heel is mounted on a sliding guide, so that the it maintains the distance when the ski is flexed without compromising the release system this allows the ski to flex more inproving handling. 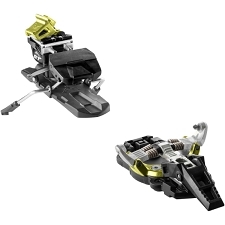 The heel has 4mm elasticity before there is vertical release. 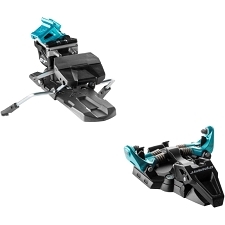 Changing the binding to ski mode is very easy and viceversa without having to take off the ski. 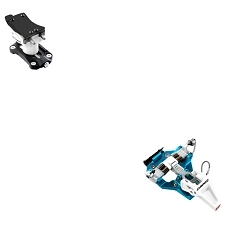 Wide mounting scheme with a range of sizes (around 25 mm of range). 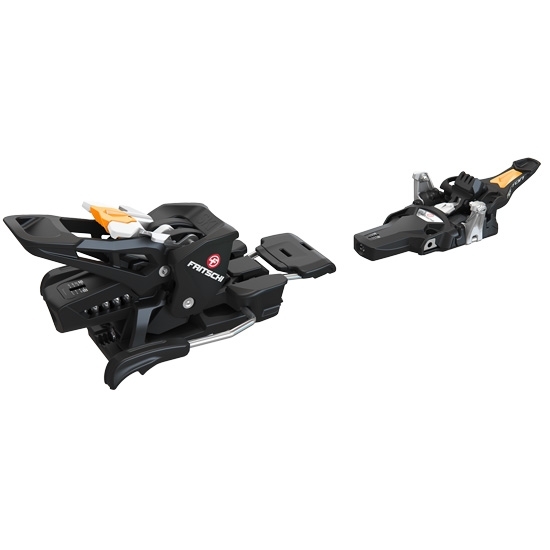 On top of all of this the Tecton 12 has three climbing positions giving maximum comfort in the ascent that are very easy to manage with the poles. 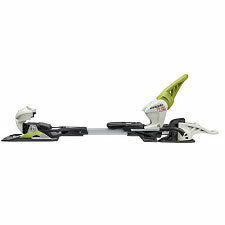 They are recommended for skis with a wide sidecut with a minimum waist of 67mm. 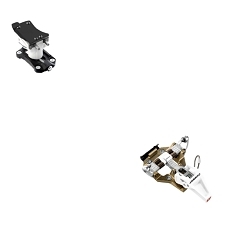 An important thing to bear in mind is that the lever in the toe has a system that opens the binding in the event of a front fall which opens the toe piece of the binding. 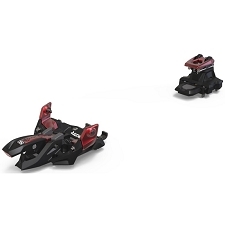 This system does not function with the racing style boots like Alien, Dyna, TLT6−7, Backland, spitfire etc. which have smaller points that are further back with respect to the tip of the boot. 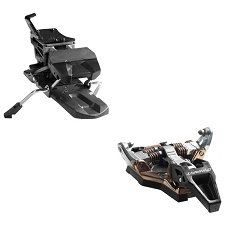 Because of this the bindings include an optional clip for these types of boots to subtitute the standard toe piece. 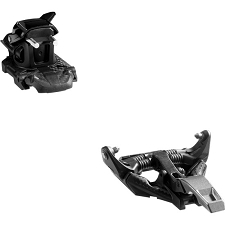 It is a thicker black clip designed to be used with this type of boot and is very easy to mount. The rest of boots such as the Maestrale, Spectre, Neo, Waymaker, etc, do not need this accessory. Only compatibel with Tech boots. 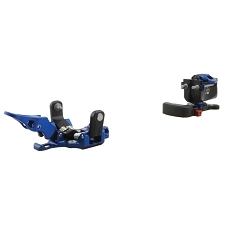 With competition boots an optional clic must be used which comes with the binding for the toe and for some models a attachment to increase the back base is required. safety release in the toe and the heel. Din 5−12 in the toe and the heel. 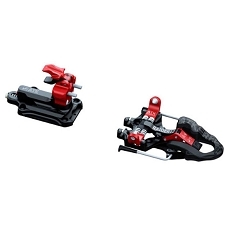 The colour of the clip can be customized (not included). 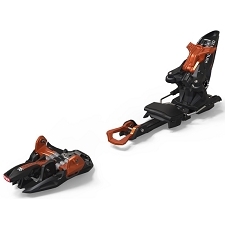 Recommended for skis with a minimum waist of 67 mm. Approx weight 550 g/ each. 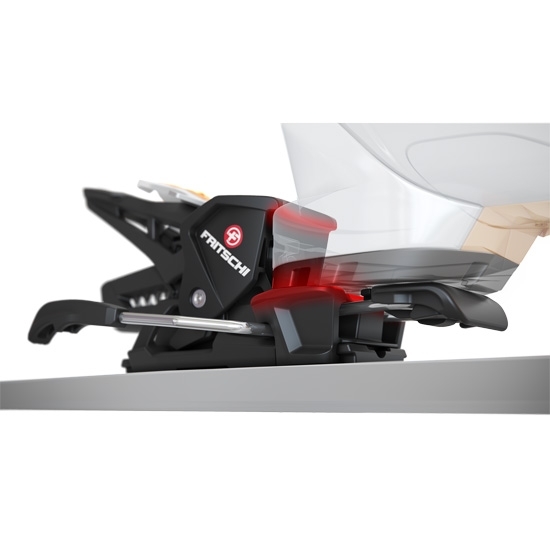 IMPORTANT NOTICE: The manufacturer informs that due to the design, this binding is Not compatible with the Scarpa?F1 Tronic & Alien? (not the RS) or the Dynafit TLT 7. 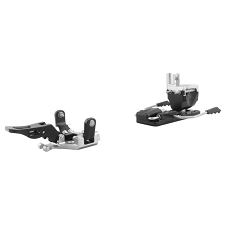 For Atomic Backland boots, the DIN setting should not be over 9 to prevent deforming the toe of the boot in the event of a forward fall. Customer Opinions "Tecton 12 110 mm"